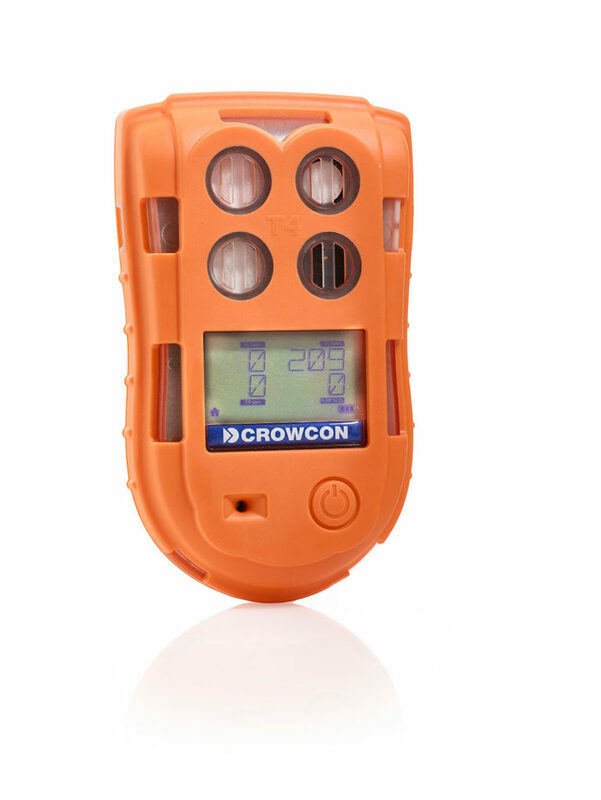 Crowcon – a leading manufacturer of specialist gas detection equipment – announces the launch, in August 2015, of a new portable multigas detector which integrates innovative features, providing advanced protection for employees working in harsh environments and minimising the cost of ownership through faster servicing. The T4 detector will enable companies to ensure compliance to safety standards by protecting employees against unsafe levels of the most commonly monitored gas combination carbon monoxide (CO), oxygen (O2), hydrogen sulphide (H2S), and a range of flammable gases. Among the key features of the T4 are Crowcon’s +ve Safety™ status indicator; easy one-button operation; clip-on filter plates, and a novel TWA resume facility. +ve Safety™ is Crowcon’s simple ‘traffic light’ status indicator, which at a glance, allows the user to check the compliance status of the unit without having to read and interpret the data shown on the detector’s display screen. Time-weighted average (TWA) resume is an innovative new feature ensuring TWA logged doses of toxic gasses are not reset when the unit is shutdown, for example during a break, reducing the risk of worker overexposure to toxic gases. The clip-on filter plates make it faster and easier for users to replace the gas filter, which is an essential safety precaution in dirtier environments to prevent the detector’s sensors from being compromised by dirt, dust or contamination in the working environment. The T4’s ease of use also includes one-button operation which reduces the amount of training required and is very easy to operate while wearing gloves. Finally, the T4 achieves an extended battery life of 18 hours from a single charge, making it possible for users to complete one or more shifts before recharging. For users, the T4 provides a compact and comfortable unit which is easy to operate and which ensures protection against multiple gas hazards. For Fleet Managers the T4’s compatibility with Crowcon’s I-Test bump-test and calibration station offers advanced control features in addition to data-logging to provide an audit of the time and result of each safety check. To ensure that customers can benefit from the T4’s full warranty period, each T4 unit can be stored by the distributor for up to three months before the warranty is activated. “Despite its advanced features and functionality, the T4 offers enhanced protection and compliance to safety standards from a unit which is highly cost-effective to maintain,” explains Nick Dajda, Crowcon Business Development Manager for Portable Products. The T4 detector is designed for use in industries such as the oil and gas sector; water and waste treatment facilities, utility companies and steel processing plants.